The main hesitation I’ve heard about styling the comeback of flares these days is trying to figure out what to pair on top. This is a legitimate concern because, well, you need to wear tops. I’m sorry to be the rule enforcer here, but it’s the world we live in. 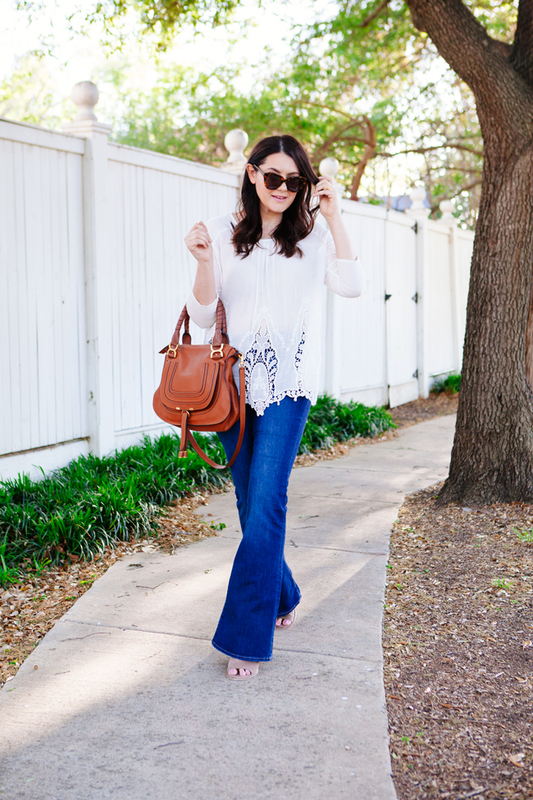 Do you go cropped, tight, fitted, loose with flares? I say yes to all of the above. But the most challenging, oddly enough, is the loose top. 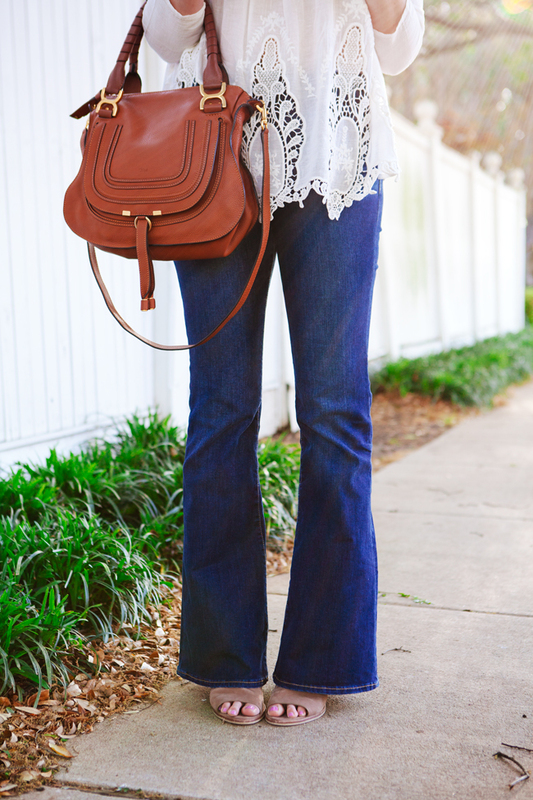 This silhouette of a top works perfectly with our other denim BFF, the skinny jean, but can it work with flares? And if I’m grading my own paper it looks like I passed with flying colors. I even gave myself bonus points, too for no reason at all. 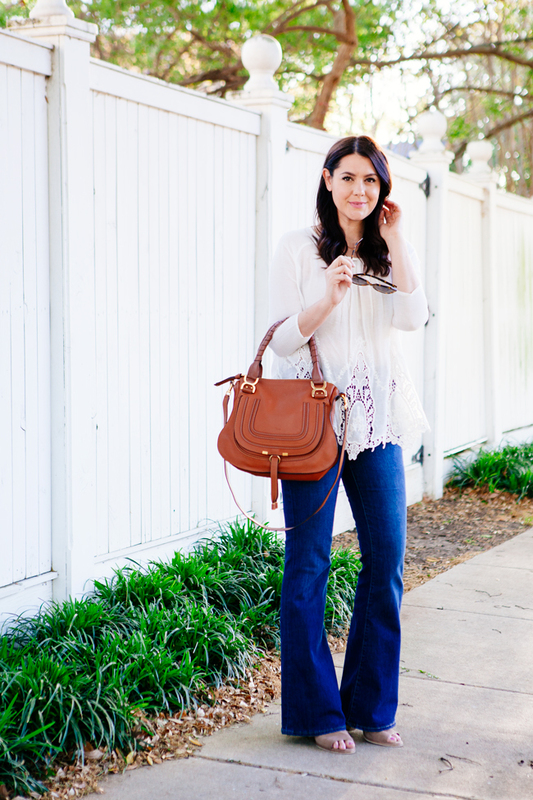 Here is the thing about pairing flares with a looser or longer top — you’ve got to wear heels. Possibly the most controversial thing I’ve said, but it’s true. 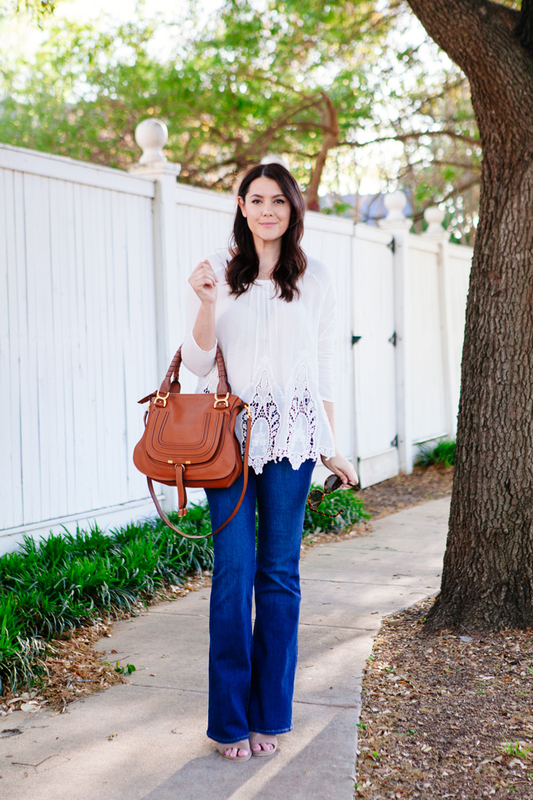 You’ve got to get some height when you pair loose tops with flare denim. Flares with any top can easily be done and well, just be aware of your proportions and you’ll be just fine. See? Flares aren’t so intimidating after all. *This post is brought to you in collaboration with Old Navy. I’m loving this simple, 70’s inspired combo! 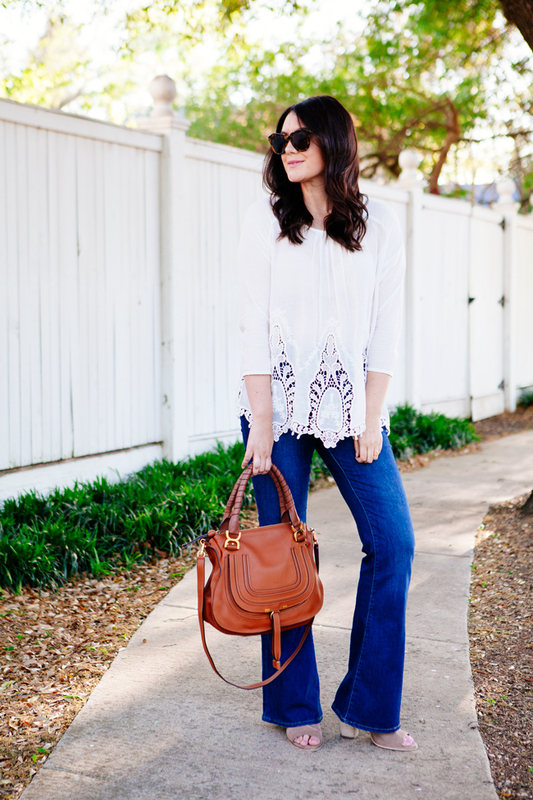 You’re rocking these flared jeans! Love this outfit! The detailing on the top is gorgeous! http://bit.ly/1S7FFqp .. how to clean your makeup brushes! You look amazing and I think you are right concerning the heels thing. I love you in flares! 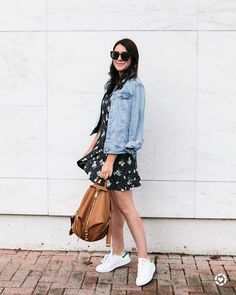 Such a perfect spring look. 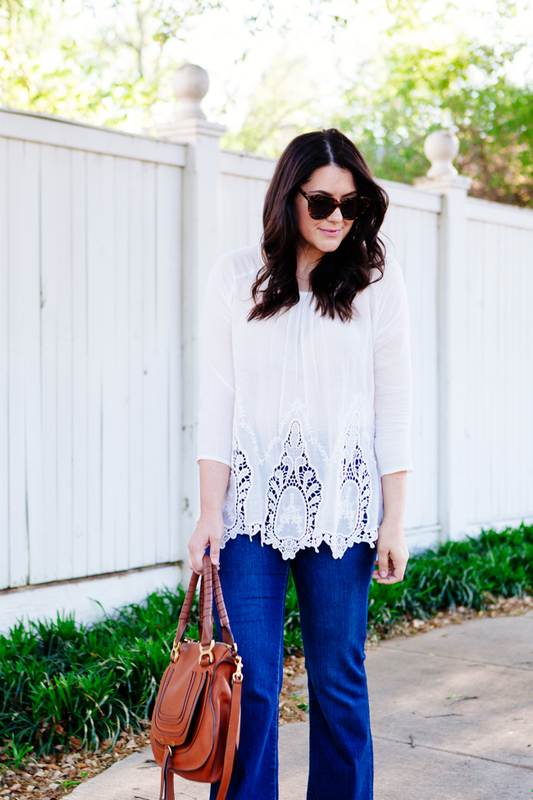 This lace top is so pretty, love the hem and lace piecing! Great look! My question with flares is always what shoes to wear! Can you do a post about that? Completely agree! 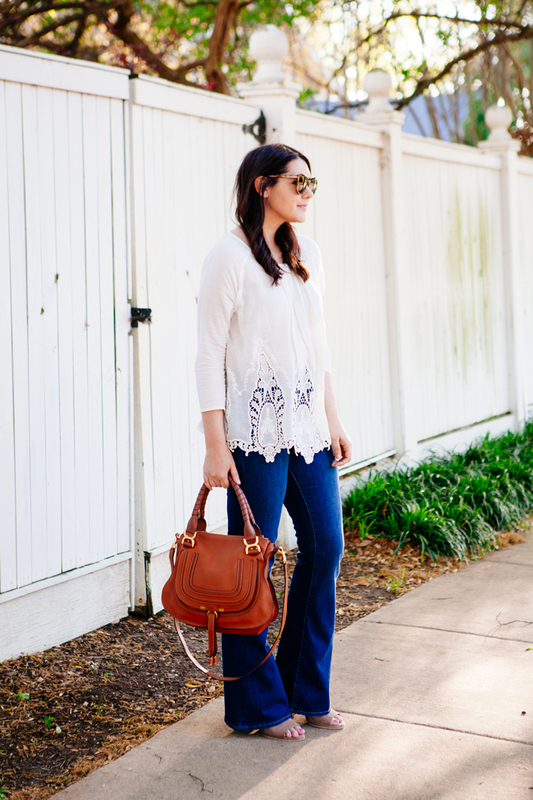 Flares can be worn with pretty much any top but the key to wear the right shoes and accessories. And obviously you nailed it! 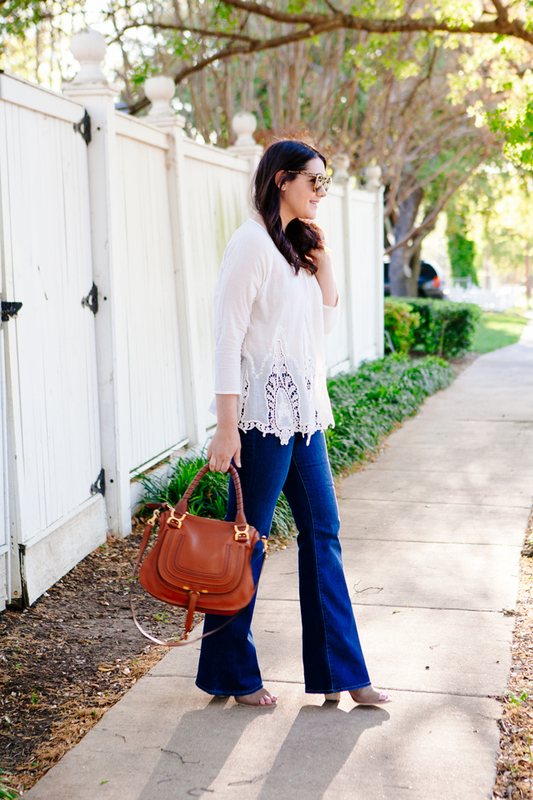 These flare jeans are too perfect! 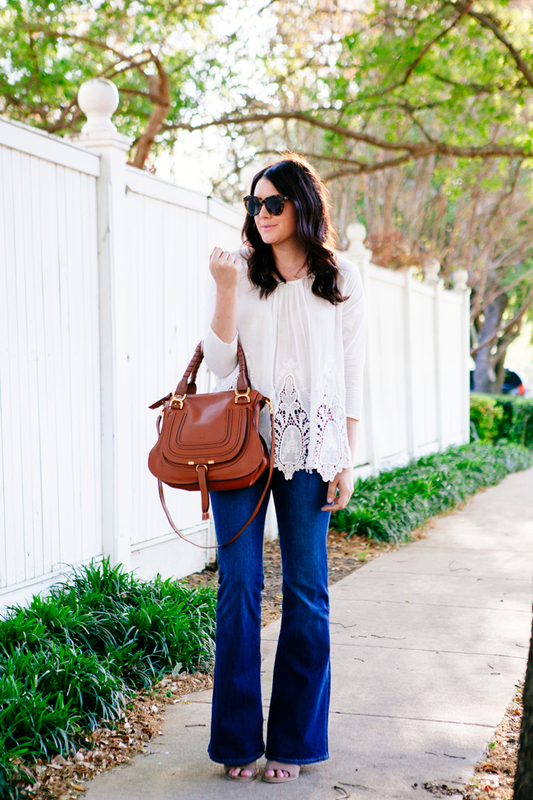 I love the lace detailing of this top! So beautiful! I think that top goes perfectly with the flare jeans. Love this outfit! My problem/hesitation with flares is what shoe to wear them with. I don’t like wearing heels/wedges. Any other suggestions? Thanks! The noa booties that you are wearing, can you comment on the heel height? The website says 3 1/2 but then i read some reviews and some people said they are higher. They are so cute and are a great transitional bootie. I love this outfits..looking adorable..
love your flared jeans! i also wear this type of top!